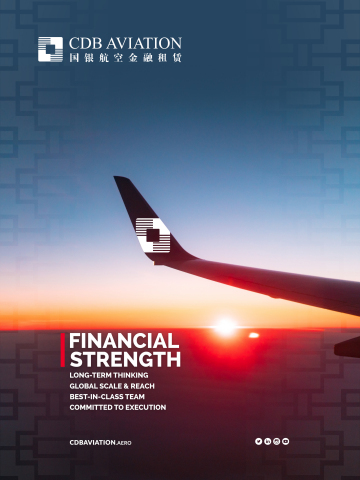 CDB Aviation, a wholly owned Irish subsidiary of China Development Bank Financial Leasing Co., Limited (“CDB Leasing”), announced today a record year for 2018, in which the company executed transactions involving 107 aircraft, rapidly accelerating business to support the continued growth of its industry-leading leasing platform. CDB Aviation delivers innovative aircraft financing solutions, providing airlines around the world with a competitive cost of funding and an unrivalled customer-oriented, full-service approach. Backed by unparalleled resources of China Development Bank, CDB Aviation’s increasingly global platform is focused on execution and rooted in the culture of competency.